I have been an active photographer since the early 1970s. In the beginning years I primarily shot and processed B & W 35mm film. For the last 40 years I have used photography to document the work of my company Doopoco Enterprises Fine Custom Cabinetry. Photography for me is and has been an opportunity to experience and capture a bit of magic that unfailingly seems to present itself to me when I make the effort to head out into nature with my camera kit. It's a reminder for me what a gift it is to be a witness and participant in the artistry that unfolds around me everyday. My primary focus and photographic passion is for landscapes. I love being in nature, and seeking out compositions is the excuse that gets me to return again to nature as often as possible. The quiet solitude and the feeling of peace that I enjoy when I am alone in nature surrounded by incredible beauty is what I strive to share through my photographs. 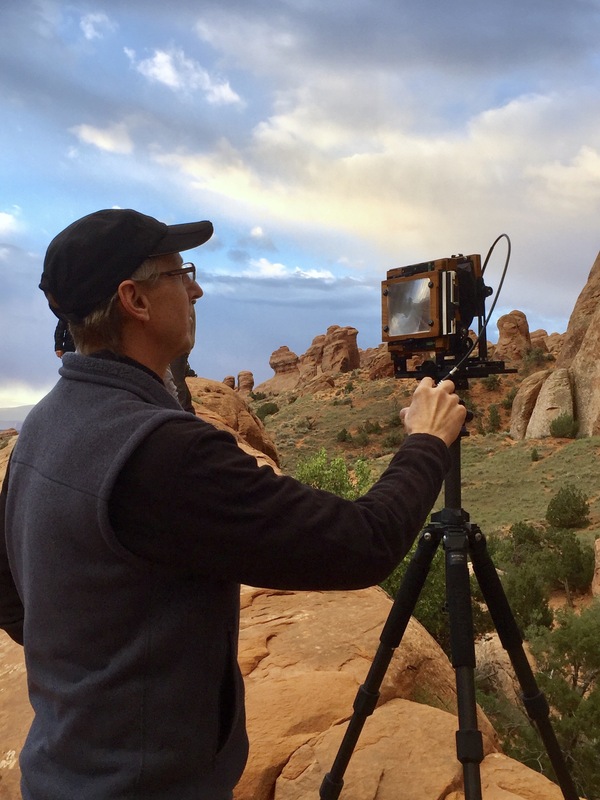 Currently I use a Fujifilm GFX 50s medium format camera and a Chamonix 4 x 5 large format film camera for my landscape work. When shooting motion sports, I use a Canon 1DX mark ii. I am a print maker and for me the creative process continues while I work my images through post processing to bring them alive on print media. For me, until I hold a print in my hands that inspires the feeling I had while capturing the image, the photograph is not yet complete. Photographic prints are a thing of beauty and I am happy to own and display several prints from photographers that I admire. I am humbled and honored that you are taking your time to read this and explore my images. If you are considering adding one of them to your home or office or are just enjoying the photographs online I am touched that something that I captured is being recognized and enjoyed. I invite you to sign up below to be notified when I release images through my journal and receive occasional newsletters with news of gallery showings and other events.